Three people have been shortlisted in the apprentice category of the 2018 Press and Journal Energy Voice Gold Awards. 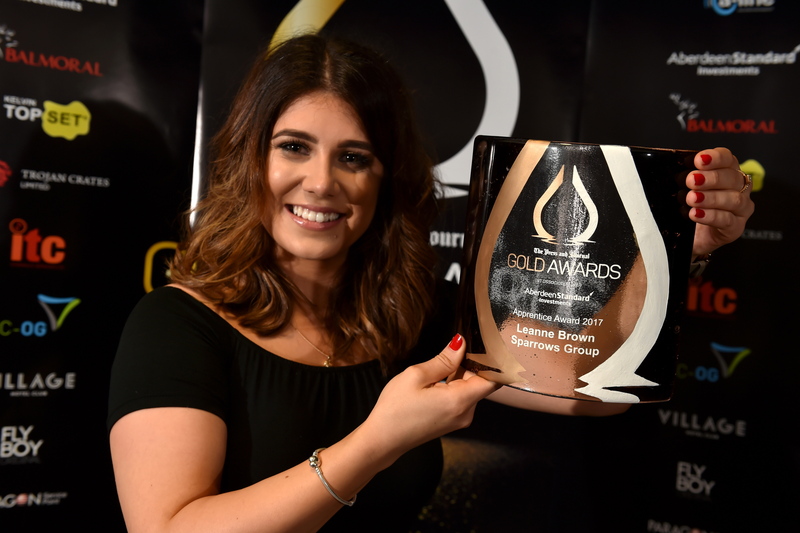 Fraser Imrie, of Richard Irvin Energy Solutions; ICR Integrity’s Robert Mitchell and Stuart Hamilton, of Fugro, are all hoping to follow in the footsteps of last year’s winner, Leanne Brown. They were chosen after interviews at the offices of Simmons and Company International. Trojan Crates is sponsoring this year’s Apprentice Award, which honours the future lifeblood of the energy industry. An Above and Beyond Award, sponsored by Bristow Helicopters, recognises outstanding employees who help to fuel the energy sector. There are three people contesting this category: Grant MacGregor, of Wood, Heather Sharkey, from EC-OG and Louise Duncan, of Chevron. Three contenders are in the running for an accolade celebrating the efforts of women in an industry traditionally dominated by men. The Dr Mildred Dresselhaus Award will go to either Fiona McKie, of Wood, Heather Sharkey, from EC-OG or Rebecca Alison, of the Oil and Gas Technology Centre (OGTC). Taqa, TWMA and Air Control Entech have been shortlisted in the health and safety category. OGTC’s Colette Cohen, Shell’s Steve Phimister and Howard Johnson, of Blaze Manufacturing Solutions, are contesting the Industry Leader Award, while large and small company finalists include Entier, Nexen, TWMA, ICR Integrity, SengS and Siccar Point Energy. Wood and Sparrows Offshore Group are vying for the renewables honour, and Air Control Entech, Cognitive Geology, Rig Deluge and Tendeka are shortlisted for innovation. There will also be a new inductee to the awards’ hall of fame. The Gold Awards, held in association with Aberdeen Standard Investments, reach their climax at the Marcliffe Hotel, Aberdeen, on September 7.